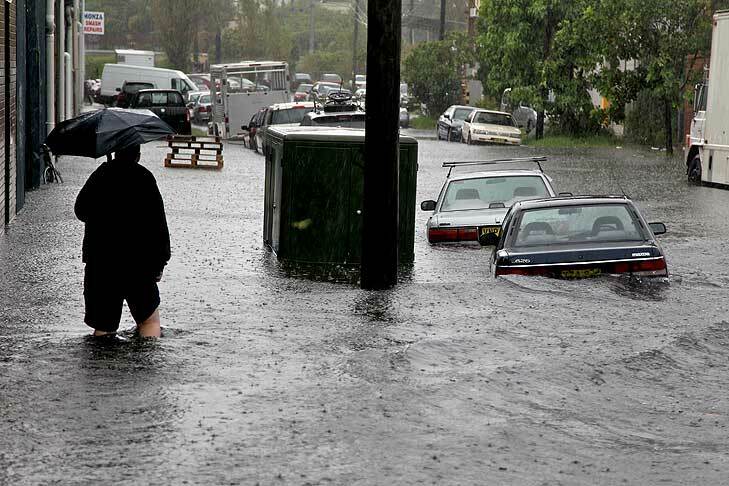 It is early autumn in Sydney but this morning its residents experienced the wettest day in March when torrential downpour sparked chaos in the transport system and triggered flash flooding in the metropolitan areas. The amount of rain was recorded as the heaviest daily rainfall in 5 years and the wettest day of the month since 1984. The 120 millimeters of rain and strong winds soaked commuters in the morning peak hour and caused power failure which halted the transport system. Dozens of roads were under water leaving cars and buses stranded for hours. Due to poor visibility, Sydney airport was closed with flights either cancelled or diverted to nearby airports. Even the boats on Sydney Harbour were at risk of sinking when they were hammered by the heavy rain and gusty winds. The storm was so intense that hundreds were evacuated because properties were under water. Some train stations were flooded and passengers were asked to make alternative arrangements. The State Emergency Service received more than 100 calls from people affected by the severe weather condition.